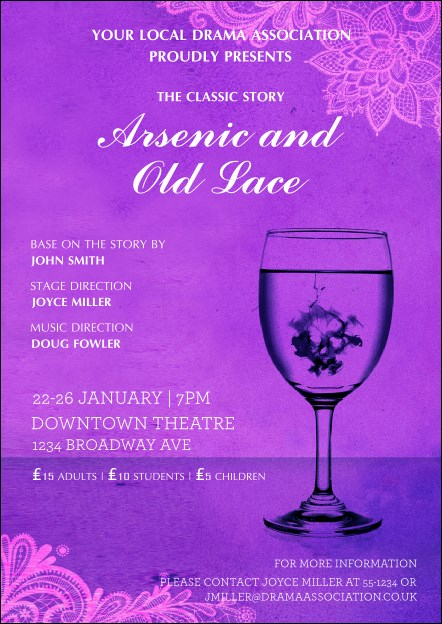 Send a quick and easy reminder for your production of a classic when you use the Arsenic & Old Lace Postcard! Pink and purple draw attention to a glass of deadly elderberry wine that would make the spinster Brewster sisters proud. Easily edit 18 lines with show info. The right postcard from UK Ticket Printing can help your event shine!